Three Koalas FULL DAY YARRA VALLEY WINE TASTING TOUR is a Golden Classic of Yarra Valley private winery tours. Most beautiful regional Yarra Valley wineries to visit and most inspiring regional wines to taste in YOUR OWN PRIVATE GROUP of family, friends or colleagues. ABSOLUTELY NO STRANGERS! Take this PRIVATE day wine tour from Melbourne and enjoy captivating scenery of a charming country side, the best of small boutique Yarra Valley wineries and some fabulous regional food… and all at the price not higher than on a PUBLIC big bus tours! From just $69 per person! * BYO – Build Your Own tour. For those who value freedom of choice, don’t like to be locked in pre-booked Itinerary and prefer to move at their own pace. Build your Yarra Valley tour as you go and as you feel like. With our expert advice and immediate help on the spot, of course :)). Lunch cost and wine tasting fees are NOT included in this price. When Private Yarra Valley Full Day Wine Tour Runs? — Private Yarra Valley Full Day Wine Tours run DAILY at 10 AM. — Door-to-door Transport Safety Victoria registered, comfortable air-conditioned vehicle from/to any Melbourne CBD or Melbourne Metropolitan area Eastern suburbs location to the Yarra Valley wineries. Return. — Creating and booking of a perfect Yarra Valley itinerary for you to minimize travel time and maximize diverse Yarra Valley experiences according to your preferences and interests. — Winery restaurant hearty shared Pizzas or Tapas lunch (INCLUSIVE). What Can I Expect During the Private Yarra Valley Full Day Wine Tour? — Visit as many top Yarra Valley wineries as you wish, time permitting (typically 4-5). Grand design Chateaus, smaller boutique treasures and iconic hidden gems alike. With emphasis on small boutique wineries. — For the Beer and Cider Lovers, visit to Napoleone Brewery and Ciderhouse at Meletos for a paddle tasting can be arranged instead of one of the wineries (will incur additional tasting fees). In case you chose BYO tour option and would prefer to arrange your own lunch we can suggest the following winery-restaurants special deals negotiated by us and available to our clients. Two course lunch along with a glass of wine – $45 pp. One course lunch along with a glass of wine – $35 pp. Antipasto and Pizza to share along with a glass of wine – $35 pp. Tapas style (cheese, seafood and meat) along with a glass of wine – $30 pp. Pizzas to share along with a glass of wine – $30 pp. Cheese or Charcuterie platter to share – $15 pp. Picnic – we know a few good spots for that – $0 pp. You need to chose ONE deal for the WHOLE group, as they are available from the different wineries. And we will gladly book it for you. Please Contact Us for more details. Join Three Koalas Winery Tour and you will be treated with a private tasting of 4 to 5 of the Yarra Valley’s best wineries. We try to take you to the right mix of boutique, small and big wineries on the same Yarra Valley FULL DAY WINERY TOUR from Melbourne to sample and enjoy a variety of delicious local wines made in the region. And at the lunch time you’ll have a meal at one of the wineries with restaurant. Or if you wouldn’t feel like a full lunch, treat yourself to a delicious tasting plate of local Yarra Valley produce – cheeses, olives, deeps, meats etc. The particular wineries we will visit for private wine tasting on a day may vary, as they have to be pre-booked for group tastings, and there are quite a few available, but they all will be from this “crème de la crème” list of Yarra Valley wineries. Looking for Small Group Private Yarra Valley Wine Tour? Look no further – Small Group Wine Tours is exactly what Three Koalas do! We run Private Yarra Valley Wine Tour from Melbourne to the best and most remarkable Yarra Valley Wineries and we do it exclusively for small groups. Friends, colleagues, fellow travelers or families… This is 99% of our clients. No big public tours, no noisy strangers, no rush and no regrets )) Just you, your friends and memorable Yarra Valley experience on your own terms. And don’t forget that Three Koalas Private Yarra Valley Wine Tour will cost you NO MORE per person than a big public bus tour full of strangers! We Guarantee it! Just check our always low Private Wine Tour prices. And this is just a begging! Small Group Yarra Velley Wine Tour with no strangers? Check! Best boutique small wineries along with grand historic chateaus? Check! Freedom to choose your own Itinerary? Check! Gin, beers, ciders, cheese, chocolates? Check! Choice of winery lunch deals? Check! Complementary Pick Up\ Drop Off from your own address, Airport, Cruise Ship Terminal? Check! Five Stars TripAdvisor rating? Check! Anything else you would like to have on your Small Group Wine Tour? Just ask! For the same or even lesser price, than a public tour?! We think this is quite obvious thing to do and we think that Three Koalas Small Group Private Full Day (or even Half Day) Wine Tour of Yarra Valley is a great deal for you. Enjoy your Private day on the vine with your own friends or family in the beautiful Yarra Valley on one of our popular Wine Tours at the best price in Melbourne! Howdy! Your Cruise Ship docks in Melbourne, Australia and you would like to use that day to indulge yourself with a private Yarra Valley Wine Tasting Day Tour? Look no further – you have found what you are looking for! We will organize and run your Yarra Valley wine tasting day tour (Or indeed may be gin, craft beer, cider, cheese, chocolate tasting..? Yarra Valley has it all! :)) right from the Port Melbourne Cruise Ship Terminal at Station Pier. And we will bring you back there safely and on time for boarding your Cruise Ship. And don’t forget that for you we offer a special Cruse Ship Winery Tour Deal! We understand time restrains of most Cruise Ships schedule and that you will most likely have a bit less time in the Yarra Valley than a typical shore-based tourist. To make things fair we have priced our Private Yarra Valley Winery Day Tour for Cruise Ship wine lovers lower than our standard Full Day Wine Tour of the Yarra Valley would be. We think this is fair and honest thing to do and we think this is a great deal for you. Enjoy your day on the vine in the beautiful Yarra Valley in a Chauffeur Driven vehicle and at the best price in Melbourne! * Weekend rates applied during Public Holidays. — Pier-to-Pier Transport Safety Victoria registered, comfortable air-conditioned vehicle for your group from/to Port Melbourne Cruise Ship Terminal at Station Pier to the Yarra Valley wineries. Return. — Creating and booking perfect Yarra Valley itinerary for you to minimize travel time and tasting cost and maximize diverse Yarra Valley experience according to your preferences and interests. 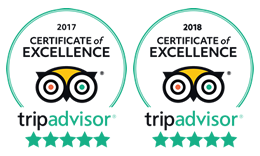 — Professional, industry accredited, friendly and knowledgeable driver/guide with extensive local wine knowledge and many years of Yarra Valley touring experience. — Visit as many top Yarra Valley wineries as you wish, time permitting (typically 4-5). Grand design Chateaus, smaller boutique treasures and iconic hidden gems alike. Hire a designated driver for your private Yarra Valley Wine Tasting. If you would like to organize your wine tasting trip to the Yarra Valley yourself (or indeed gin tasting, beer tasting, cider tasting… :)) and don’t want to pay a full price of Private Yarra Valley Winery Tour, then hire a designated driver and enjoy your day on the vine with a Chauffeur Driver in the Yarra Valley half price and guilt free! — Or we can provide just a private driver and use your own car if you would prefer that. Security deposit of – $200 is required upon booking of a private driver. Security Deposit will be returned in full on completion of your trip if hire time was within 8 hours AND (in case of using our bus) vehicle will not require commercial cleaning after servicing your group. Security Deposit will be partially retained by THREE KOALAS WINE TOURS and used against extra hire time AND/OR commercial cleaning after servicing your group. Minimum hire time of designated Yarra Valley driver – 8 Hours. Hire time starts and finishes at your Pick Up and Drop Off points. — Professional, industry accredited and knowledgeable hire driver. — Fuel and road tall costs (if using our car). We really encourage you to compare this to ANY other legitimate offer available on the market. We 100% GUARANTEE that our price is always the best deal in Melbourne! Full stop. When Private GREAT OCEAN ROAD AND WINERIES TOUR Runs? — Three Koalas run Private GREAT OCEAN ROAD AND WINERIES TOUR RUNS DAILY in the morning. Tours start at 9 AM . — Door-to-door comfortable transport from/to any Melbourne CBD, Port Melbourne Cruise Ship Terminal or Melbourne Metropolitan area Inner Eastern suburbs location. Both ways. — Professional, industry accredited and knowledgeable driver/guide. — Wineries tasting fees . The Great Ocean Road is the most popular tourist destination in Victoria and third most visited attraction in Australia after the Great Barrier Reef and Uluru. And let us tell you – there is a very good reason for that! Just recently in 2014, impressive 70% of readers of Australia’s top tourists magazine – Australian Traveller have voted in People’s Choice Awards – the Great Ocean Road is the “Best Road Trip” in Australia. Naturally, every Melbourne’s visitor is planning to make this trip. Don’t you? Three Koalas GREAT OCEAN ROAD AND WINERIES TOUR from Melbourne offers you this chance. And not just to take part in this amazing road trip but also to taste some very special wines at some very unique wineries of Victoria’s Surf Coast. We are telling you right now – not that many people have such a chance. To our best knowledge no other wine touring or Great Ocean Road touring company offers wine tasting tours from Melbourne in that region. But with Three Koalas Winery Tours of Great Ocean Road this is possible! Yet another absolutely MUST DO tour for Melbourne’s overseas visitors. Taste “not easy to find” wines at “not easy to get to” wineries of Victoria’s fabulous Surf Coast. The opportunity to be “not as everyone”. Make a road trip of your life along one of the most famous and picturesque stretches of bitumen in the world – The Great Ocean Road. Awe at some of the best ocean views in Australia, discover the wildlife where you wouldn’t expect and enjoy splendid scenery and dramatic landscapes. All on just one unforgettable day tour. Three Koalas PENGUIN PARADE, KOALA SANCTUARY AND WINE TOUR from Melbourne takes you to the most popular wildlife attraction in Australia – famous Penguin Parade on Phillip Island. In the first half of this very busy touring day you will enjoy wine tasting at amazing Yarra Valley wineries, sample some great Yarra Valley wines and in the evening you will meet even more amazing Australia’s Little Penguins on one of Victoria’s jewel “The Penguin Island“! When Private PENGUIN PARADE, KOALAS AND WINERIES TOUR Runs? — Three Koalas run Private PENGUIN PARADE, KOALAS AND WINERIES TOUR RUNS DAILY in the morning. Tours start at 10 AM . — Tickets to the Koala Conservation Centre. — Entry tickets to the Penguin Parade. What else can I do during Private PENGUIN PARADE, KOALAS AND WINERIES TOUR? — For the Beer Lovers, a visit to Napoleone Brewery and Ciderhouse at Meletos for a paddle tasting can be arranged. Save your precious time and money and join our PENGUIN PARADE, KOALAS AND WINERIES TOUR! Three Koalas PUFFING BILLY, WILDLIFE AND WINERIES TOUR from Melbourne is the MUST DO PRIVATE tour for all Melbourne’s visitors. When Private PUFFING BILLY, WILDLIFE AND WINERIES TOUR Runs? — Three Koalas run Private PUFFING BILLY, WILDLIFE AND WINERIES TOUR DAILY in the morning. Tours start at 9 AM . — Tickets to the Puffing Billy steam train. — Entry tickets to the Healesville Sanctuary. What else can I do during Private PUFFING BILLY, WILDLIFE AND WINERIES TOUR? Save your precious time and money and join our Puffing Billy, Wildlife and Wine Tour of Yarra Valley!